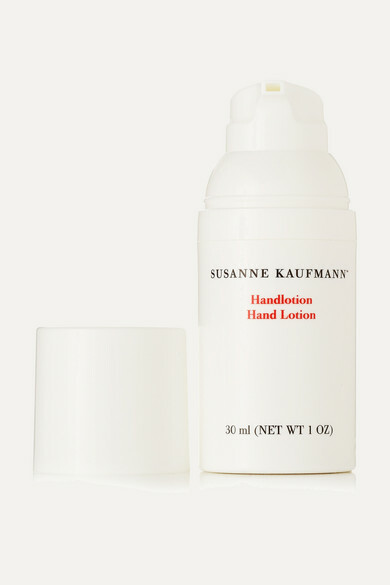 Susanne Kaufmann's lightweight, highly absorbent hand lotion comes in packaging that is perfectly proportioned for keeping in your tote. It's a soothing blend of Mallow, Witch Hazel and Aloe Vera and has a wonderfully fresh and natural fragrance. Packed with nourishing antioxidants including Broccoli Oil, Walnut Leaf Extract and Vitamin E, this formula will leave your skin feeling nourished, supple and smooth.